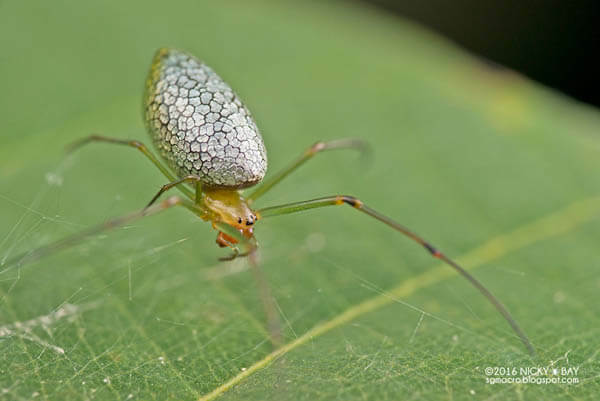 When I first saw those photos, I thought that was some kind of joke to dress up spider for the coming Halloween. 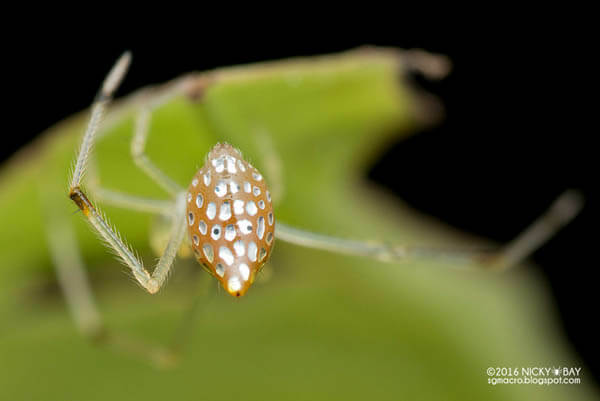 However, those alien-looking sparkling creatures are real, they live in the same planet with us. 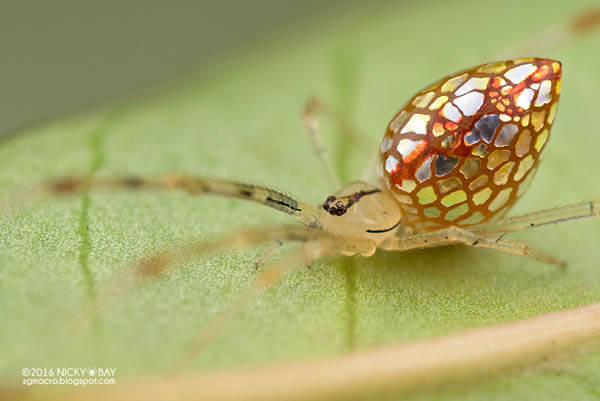 Found mostly in Australia, these spiders, called mirror or sequined spiders, are all members of several different species of the thwaitesia genus, which features spiders with reflective silvery patches on their abdomen. 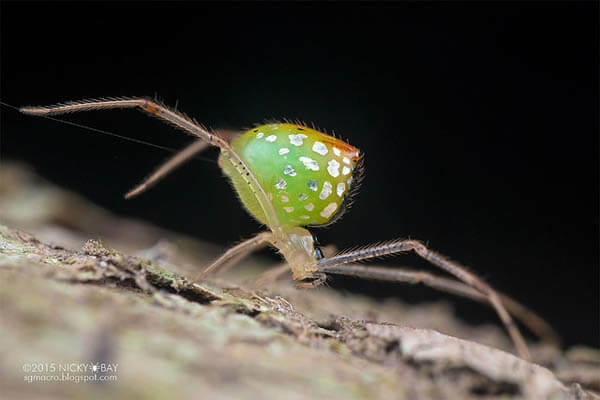 The scales look like solid pieces of mirror glued to the spider’s back, but they can actually change size depending on how threatened the spider feels. 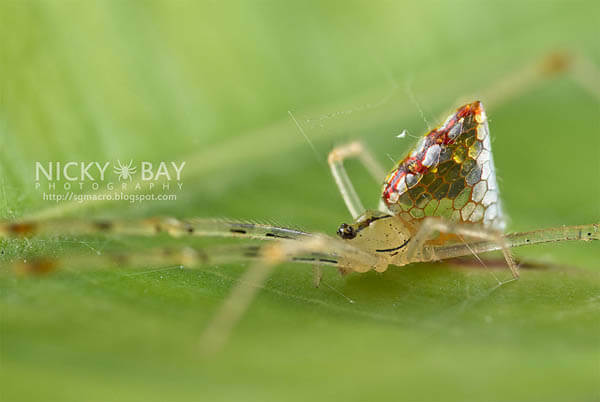 The amaizing photos presented here are taken by Singapore-based photographer Nicky Bay who is an expert in macro insect photography. 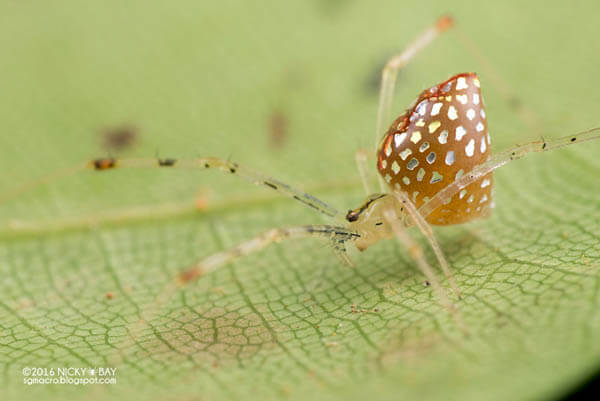 He been documenting the life of the mirror spider for several years on his constantly updated blog post about mirror spiders. 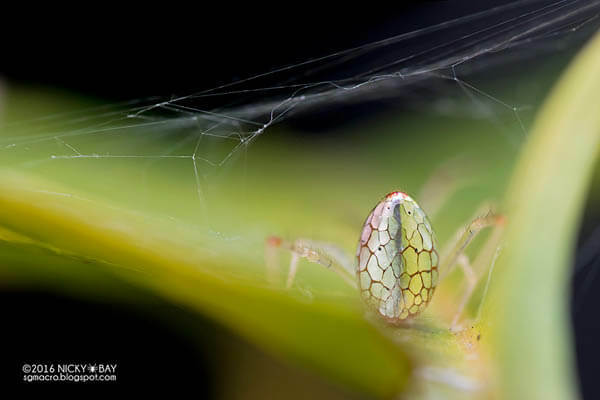 If you like those photos and want to know more about spider or other insect’s life, head over to Bay’s flickr page where you can find a massive archive of macro insect photos.